David Beronä is the author of Wordless Books: The Original Graphic Novels, published by Abrams in 2008 to much acclaim -- most recently, a first place award from the Bookbinders' Guild at the New York Book Show in the Special Trade - Adult Graphic Novel Book category. In addition to Wordless Books, he has written numerous articles, reviews, and introductions for both scholarly and general audiences. Matthew Cheney: What is a "wordless book"? David Beronä: Wordless books were stories from the early part of the twentieth century told in black and white woodcuts, imaginatively authored without any text. 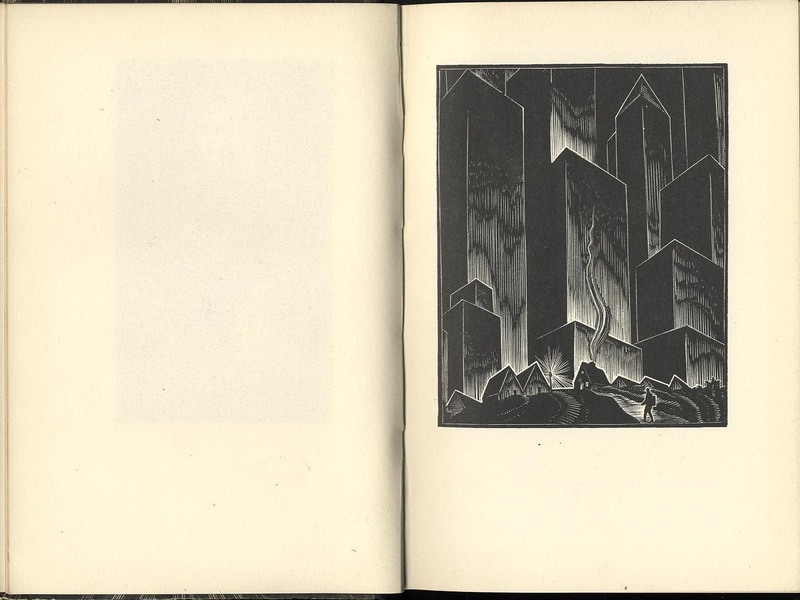 Frans Masereel, a Belgian, referred to these wordless books as "romans in beelden" or "novel in pictures." The term commonly used for these early wordless books was also woodcut novels since they used woodcuts, wood engraving, and other forms of relief printing like leadcuts or linocuts to tell a story. Although woodcut novels have their roots spreading back through the history of graphic arts, including block books and playing cards, it was not until the early part of the twentieth century that they were conceived and published due in large part to Masereel and the American, Lynd Ward. Despite its short-lived popularity, the woodcut novel had an important impact on the development of comic art, particularly contemporary graphic novels with a focus on adult themes. MC: Why did wordless books develop when they did? DB: Like anything, it was a matter of timing. 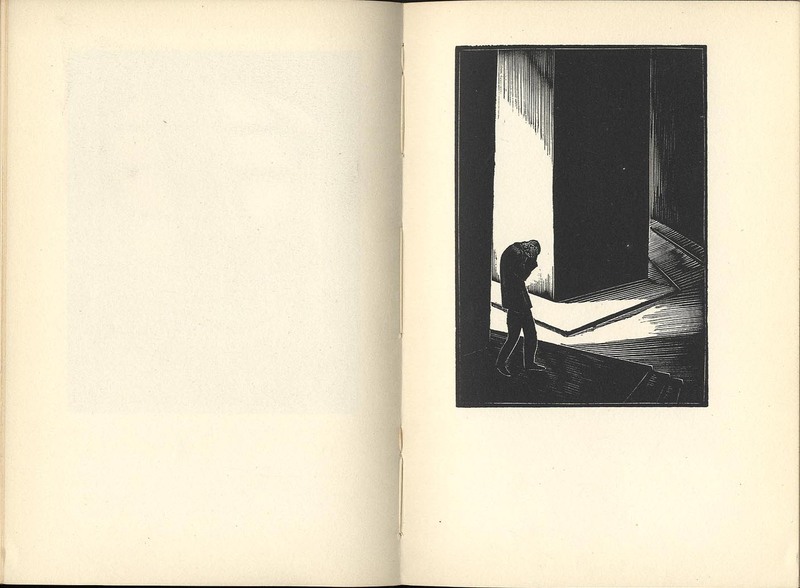 The influence of the silent cinema, the use of the woodcut by the Expressionists, and the familiarity of the public with cartoons all contributed to the advent of the wordless book. More important, though, was Frans Masereel himself and his courage to publish his wordless books. The success of Masereel’s books in Europe, though, can be attributed to the publisher Kurt Wolff, who admired these books when he saw copies from the initial editions that all had short print runs. Wolff published the first six woodcut novels with introductions by famous literary names like Hermann Hesse and Thomas Mann in large editions that made them affordable to the general public. There was a universality of these wordless books that rose above language barriers and literacy that spoke in pictures directly to the reader. MC: What's the connection between wordless books and graphic novels? DB: These early wordless books are just now being recognized for their pioneering graphic storytelling qualities that have so much in common with comics and today’s graphic novels. Will Eisner, the artist who coined the term “graphic novel” in the 1970s, recognized the influence of these early wordless books. These wordless books highlight the components of today's graphic novels with an even flow of the pictures and just the right amount of visual information in each picture to tell a story. MC: I'm curious for your thoughts about the way those stories are told, or, rather, how we construct stories from the images. Without text, the stories, as such, are associational and fluid. When I read them, for instance, my "reading" is a kind of narrator in my head, but that's probably because I have just about no visual imagination and so I turn everything into words. I'm fascinated by your introductions to, for instance, Lynd Ward's books, because I usually read them after looking through the book once or twice, and I find the story I've gotten on my own is often fairly different from the story you describe, yet on looking through again, I can see justifications for both ways of interpreting the images and their connections to each other. Am I just weird? DB: I remember when I spoke with Lynd Ward’s two daughters that both Nanda and Robin told me that they constantly asked their father what his wordless books meant and Lynd always replied with the same answer: "It means exactly what you think it means." And that is really the attraction of these books -- we bring so much of our own personal experiences to reading pictures because the language of pictures has, what I like to call, a "private declension" that only each of us can understand -- a secret smirk or a haunting remembrance from our private association to an image. MC: How did your interest in this material begin? DB: I was always fascinated with picture books and comics growing up, but when I first read Storyteller Without Words: The Wood engravings of Lynd Ward, published by Abrams (ironically the same publisher of my book) in 1974, I was immediately awestruck by these stories told in pictures without words. These were not children’s picture books but rather books for adults that displayed themes of social injustice, family squalor during the Depression, and fantasy worlds that reflected a strong psychological focus. I looked for more information on Ward and a few other artists who published wordless books, like Frans Masereel, and was surprised how little had been written about this genre. I was first encouraged by Professor Estelle Jussim when I was in graduate school at Simmons College in Boston to pursue this area of research. While I began my professional career as an academic librarian after graduation, I also began my research on wordless books in earnest. I have, in the last twenty-five years, made contact with many print makers, scholars, cartoonists and their family and friends. MC: How did you decide what to include in the book? DB: I wanted to include works up to the early 1950s with a social rather than a religious or biographical focus. I also did not want a purely academic approach in my text but wanted the pictures to do the talking, so I toned down my writing. I wanted my text to provide only a historical framework to the visual content. MC: So in some ways, then, you were constructing a minimally-worded book about wordless books. That seems apropos! How did you choose the images -- some of the books you could only represent with a few images, yet there are dozens and even hundreds in the complete original. I'd think some of that selection would be maddening. DB: Yes, I wanted the images to speak and chose the images that I felt would provide enough interest for readers to go out and read the books themselves. The selection was personal and my editor was completely behind my choices, though he did encourage me to include selections of the city from Ward’s Gods’ Man that captured the dark shadows and looming buildings, which were the images that personally spoke to him when he first read the book. MC: Can you tell us a bit about how you sold Wordless Books? DB: I had originally talked about this book with James Sturm at the Center for Cartoon Studies where I lecture on wordless books. James was convinced that there was a growing interest in these historical books. We talked with one publisher but it was really not their market. My break came when I traveled down to New York with James for an opening of the exhibit, “The Jewish Graphic Novel,” where he was exhibiting his work and where I met his agent, Judy Hansen of Hansen Literary Agency. When I mentioned my research on wordless books, Judy became very interested and asked for a book proposal. Since I had most of the book already written, I took a few months to polish up my manuscript, which I sent to her. Since Judy is so well known in the field, she knew Charles Kochman, senior editor at Abrams and now Executive Editor of Abrams ComicArts, who had an acute interest and knowledge of comic art and was also especially excited about these wordless books. After that it was only a matter of a couple weeks before Abrams bought the rights to my book. MC: As a librarian, what are your feelings about books, technology, and society? Are you optimistic for the future of books? DB: For most of my academic career I have been involved in library technology and the transformation of the traditional library into a vital online resource. The resources available now online have provided me access to more information than I could ever have discovered in a hundred lifetimes. I see our access to information growing and feel that we are in another information revolution very similar to the one experience during the advent of the printing press. Lets not forget that illuminated manuscripts were not destroyed following the implementation of the printing press. With that said, I am not only a proud supporter of online technology but also a firm believer in preserving our primary materials. I do not feel that these interests are at odds but rather an extension of my mission as a librarian to preserve information in all forms. As far as the future of the book, I believe that content will become disseminated more and more online and that the book, as we know it, will begin to metamorphosize into objects of art, as we can see in many artists books where the substance as well as the text integrate into one unique message. In addition and in contrast to the book as an object of art, I also see the book remaining viable as a cheap and disposable vehicle for content. Examples of this can be seen in today’s manga, graphic novels, and paperbacks. MC: "Cheap and disposable" -- as an occasional collector of old magazines and paperbacks, I know exactly what you mean. Even with such items, though, there's an excitement to the physical object that I imagine you must have when you encounter, for instance, an early edition of Masereel or Ward or Nuckel or dozens of others. I would love to have, for instance, a digital version of the July 1943 Weird Tales that I have, because handling it is so perilous, but there's some sort of magic to the object itself, too. Can libraries still afford to continue to strengthen their physical archives while also expanding digitally? DB: My professional philosophy would be to insure that your specific issue of Weird Tales is being preserved and archived in some library but that a digital copy is available for everyone who does not have access to the original copy. And that is what libraries are working toward -- the preservation of materials in the original format and the digitization of the material for universal access. I have to tell you a story that is a good example of this question. The first copy of Bochořáková-Dittrichová’s Childhood that I discovered literally fell apart in my hands. Talk about a "weird tale"! I had been looking for a copy of this my entire life and when I opened up the book, the pages fell from the spine, cracked, and fell apart in fragments right through my hands, certainly due to the poor paper and humidity. Since that event many years ago, I did find another copy of this rare book that was in very good shape. MC: Well, don't take it personally then if I don't let you touch my Weird Tales! Anyway... What's your next project? DB: I'm working on a survey of wordless books from where I left off in my first book: the 1950s to the present day. This includes wordless comics, children’s wordless picture books, and artists’ books. In addition, I am working closely with Dover Publications, writing introductions to a line of new editions of out-of-print graphic arts and wordless books. MC: Are there forthcoming releases from Dover that we should particularly keep our eyes out for? DB: Yes, Dover is doing some exciting work publishing new editions of these out-of-print wordless books and I am so happy to be involved with these projects. There are some great surprises forthcoming. This year there is an edition with three of Masereel’s woodcut novels in one volume (The Sun, The Idea & Story Without Words), and an edition of one of my favorite books and illustrators -- John Vassos' Phobia: An Art Deco Graphic Masterpiece -- not a wordless book but a powerfully engaging illustrated book from the 1930s. Thanks to David for sharing his knowledge and enthusiasm. 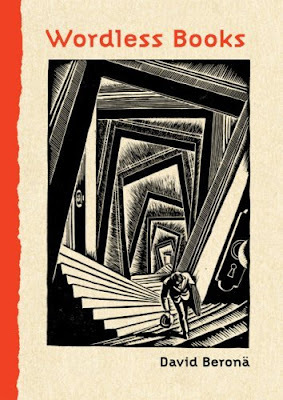 I'd also just like to add that Dover is reprinting the extraordinary 1934 edition of Frankenstein that Lynd Ward illustrated -- it has jumped near the top of my list of most-anticipated books. 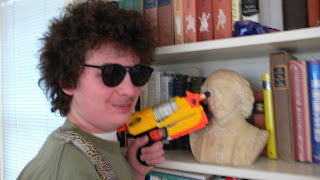 Fourteen-year-old Max Leone has a lot of opinions about books. Some of those opinions have appeared on this blog and some of them have appeared at Publishers Weekly. He lives in New Jersey with an assortment of reptiles, amphibians, and humans. I realize that The Elegance of the Hedgehog by Muriel Barbery (which was translated from French, and is set in Paris) is not exactly meant for the “young adult” demographic. However, I read widely, and after reading this book I decided that something had to be done. I heard someone raving about this book, the plot sounded interesting, and it was a surprise bestseller. Then I read it. And I realized that I must act to protect the public from this pretentious leviathan. The goal of this article is to keep as many people as possible from buying this book. For the lucky people who have not read The Elegance of the Hedgehog, it is a story that will make you want to defenestrate smart people. One of these people is Paloma Josse, one of the two main characters. She is a twelve-year-old a genius. She hates her life full of people who don’t understand me because I’m oh-so-special and so much smarter than they are and because of this, she plans to commit suicide by overdosing on sleeping pills. And burning her house down. Because my stupid parents and sister think their life is so great and they never think about all the poor people who lose their homes and I’ll wait until they leave to do it because I’m not a criminal even though suicide and arson are crimes. But wait! She’s actually more unlikable than that! She is a stuck-up, insufferable genius who feels the need to pseudo-philosophically criticize anything and everything, because she is so much better than this world of cruel idiots who don’t understand me. And she is a weeaboo. A weeaboo is someone, usually a teenager, who has developed an unhealthy obsession with Japan, to the degree that they think everything Japanese is wonderful, Japan is so much better than anything else, Japan is the magic land of unicorns, rainbows, and happiness etc. They constantly insert Japanese phrases in their speech. Paloma has all these qualities, and she’s the one we are supposed to root for. Excuse me while I bang my crude, inelegant American head against a crude, inelegant American wall. (Also, “manga”, Paloma is plural. “Mangas” is not a word.) At one point wondergirl watches synchronized diving and mopes for a half-hour because two of the divers were out of sync. Yes, this is the person we’re meant to sympathize with and root for. Reneé Michel is the other protagonist. I hate her marginally less than weeaboo wondergirl because she is somewhat less annoying. She is a concierge and autodidact (oh, how this book has polluted my vocabulary) who, due to some universal law I have not heard about, forces herself to act like the person you’d see a picture of if you looked up concierge in the dictionary. She’s pretentious, and spews as much BS as Paloma, but her lack of precociosity (I refuse to say “precociousness”. This book made me start a rebellion against proper spelling and grammar. Join me, my fellow compantriotades) makes her more tolerable. She is also a weeaboo, but to a lesser degree than wondergirl. She is also unlikeable. For example, at one point she observes that one of the tenants misplaced a comma in an invitation. This is apparently the end of the world for concierge, who collapses into a chair in shock. She than goes on a tirade that the tenant has “no excuse” to make a typo because she is rich. Her exact words are “To the rich, therefore, falls the burden of Beauty. And if they cannot assume it, then they deserve to die.” No, I did not make that up. This is the person we are supposed to root for. This, is, ridiculous, isn’t, it? And, yes, I, am, doing, this, out, of, spite. You will notice I have not discussed the plot at all. That is because it does not exist. The first third or so of this book is made up of Renee and Paloma making observations on their daily lives. I have no problem with this per se, since it can help flesh out the characters and introduce the setting to the reader. But it should not take up half the book. Yes, Paloma is a genius surrounded by idiots, we get it. Yes, Renee “breaks stereotypes”. We get that, to. Finally, after slogging through 134 pages of slimy, thick, constipated prose, something happened in the book. Namely, Kakuro Ozu appears. Kakuro is a Marty Stu. Which is to say, he is a perfect, idealized character, who came from some parallel universe with only two dimensions. He is rich, he is intelligent, he is handsome, in an old man sort of way, and he makes the lives of wondergirl and concierge better. And his toilet plays Mozart when you flush it. That last one is actually in the book, by the way. Anyway, wondergirl and concierge meet him, become magically happy, wondergirl stops being suicidal, then concierge get hit by a truck and dies. Yes, Muriel Barbery is evil. She probably has a long mustache that she twirls while constructing her death ray. The one thing about this book I hated more than the unlikable characters and the unstory was the philosophical musings that take up most of the book. They are… almost indescribable in how infuriating they are. Most of the book is made up of pretentious observations on random things. That is how Ms. Barbery the diabolical makes the story of concierge, wondergirl, and Mr. Stu last for 325 interminable pages. Whenever I saw one of these sections come up, my heart filled with dread. I had to read them more than once, since my mind refused to concentrate. I felt like screaming “No one cares about how beautiful a summer rain is, hurry up and get hit by a truck already!” I have no idea how people can live like that, their minds over-interpreting everything. A Maori rugby player dancing is not just a dance, it is “motionless movement”. When a woman trips, it is not just an accident, it is “…a Bacon come to life before my very eyes…” I have no idea how someone’s mind can even work like this. However, the worst part about these “intelligent” observations is how utterly meaningless they are. They don’t improve the world or really anything. These mental abominations just seem to have been frankensteined together for the purpose of being pretentious. A keyboard is a tragic thing. All the letters imprisoned. It is a great dishonor to them to keep them like this, locked in oubliettes of plastic. That was not from the book, that was from me. I made it up in a few seconds. And it means nothing to me. It’s the kind of thing you would find in this book, the kind of think taken to be “deep” and “profound”. And yet it means nothing. It contributes nothing to the world, and it is maddening in its meaninglessness. And that it is the thing I hate the most about The Elegance of the Hedgehog. Saturday Night Live spoof or actual advertisement against gay marriage? What Joss Whedon's Dollhouse can teach novelists about hooking readers. Yesterday I spent the afternoon with my friend Andre, who used to make his living as a reader for television and film production companies, reading through teleplays and screenplays, looking for something that really grabbed him and that he thought might be worth passing along to the higher-ups for further exploration. As is wont to happen when the two of us hang out together, the conversation turned to pop culture. Specifically, the new Joss Whedon project Dollhouse, starring Buffy the Vampire Slayer alumnae Eliza Dushku. Now, if you follow pop culture in any way, it's no secret that Dollhouse has been a project fraught with problems. Several versions of the pilot were shot, screened and subsequently scrapped after test audiences came away confused or - worse - bored. Finally, nearly a year after the first viral marketing campaign for the series had been launched, and after persistent (but false) rumors that the show would be canceled before it even premiered, the much-anticipated pilot episode of Dollhouse aired. And viewers said "Meh." And viewers said "It's boring." And viewers said "This is gonna tank." Whedon assured viewers and critics that the show would really get going about seven episodes in, and that they just needed to stick with it. Sure enough, this past Friday, the seventh episode aired and it was a doozy, everything a Joss Whedon fan could hope for. The show's premise finally seemed to come together. And this was precisely Andre's problem with the show: that it took seven hours for the pacing of the show to start working. And that's just too damned long when you've only got thirteen episodes in the can, no promise of a second season and a producer who's already had one show yanked (Firefly) for exactly the same reason. Because the fact is most viewers aren't going to stick around long enough to make it to that seventh hour. Who has that kind of time to invest? So most of the potential audience for Dollhouse probably tuned out about four episodes ago. Ideally, a new television series need to hit the ground running in the pilot episode, or the ratings will drop each week to the point that the network has no choice but to yank it mid-season. A couple of great pilot episodes that worked? The pilot for ER, which ended with Julianna Margolies' character attempting suicide. The pilot for The Shield, which ended with one undercover cop shooting another point blank in the face. The average teleplay is about 60 pages long for a one-hour episode. So the writer has 60 pages, more or less, to grab the viewer and make them want to continue the journey for the rest of the television season. As a novelist, you get about the same number of pages to grab agents and editors before we put your manuscript down and move onto the next one. Your writing may be gorgeous but if you can't grab us as readers, we simply don't have the time to be spending 120, 150, 200, 250 pages with your story in the hopes that it'll get better somewhere down the line.